HCPT Group 101 group leader Phil Hall has won the Outstanding Achievement Award at The BT Chairman's Awards at a ceremony at the BT Tower in London today. 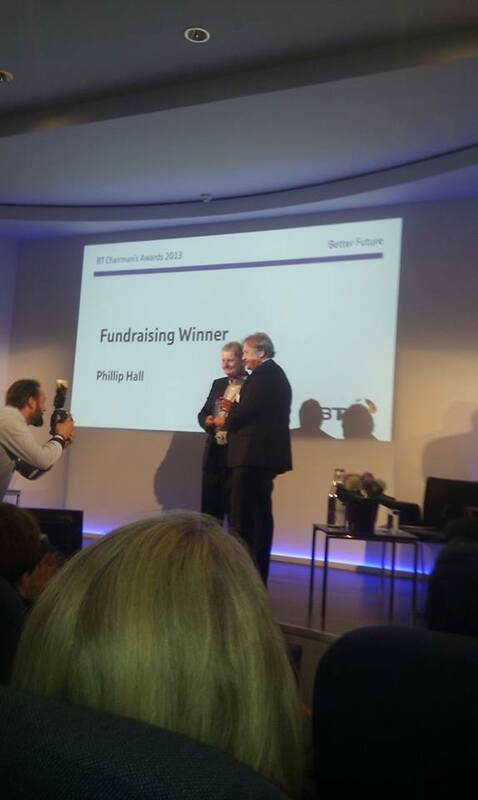 Phil received the overall award for his work with HCPT, as well as the fundraising award, and a prize of £3,000 towards the group, from BT chairman Sir Michael Rake. Click here to find out more about the awards, including a video about Group 101.
from BT chairman Sir Michael Rake.